Wolfram, Inc. has just rolled out its newest creation: Wolfram|Alpha Widgets. These are small “apps” that execute a single W|A query using user input, without actually loading the W|A website. In just the last few days since W|A widgets have been around, hundreds of them have been made, from widgets that find anagrams to widgets that calculate comparative economic data between two states to widgets that take derivatives. Each widget also comes with the option to customize, share among social media applications (21 different services are represented), or embedded in popular blogging and wiki services such as WordPress and Mediawiki. (Sadly, there’s no WordPress.com embedding yet.) Take a look through the gallery at what’s been done. What’s really exciting here is that you don’t need any programming knowledge to create a widget. You start with a basic W|A query, then highlight the specific search terms you want to turn into user-defined variables, and the graphical tools on the website do the work. In other words, if you can perform a W|A query, you can make a widget out of it in short order and then share it with the world via social media or embedding on a blog or wiki. The ability for anybody, with or without programming skill, to create widgets from simple W|A queries opens the door for creative technology projects for students at almost any level. 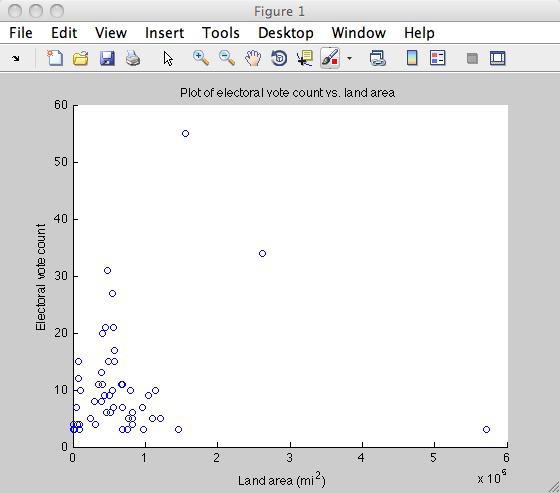 An instructor could assign a project in which students simply have to create a widget that does something useful for the class, for example to generate a comparison of two stocks in an economics class (though that’s already been done) or generate a contour map of a two-variable function in a multivariable calculus class. Students work in teams to create the widget and then post on a class blog or wiki. I’m very excited about the shallow learning curve of these widgets and the consequent potential for students to make and play with these things as creative components of a class. Here’s a screencast on how to make a widget, in which I do a complete walk-through of the creation process. 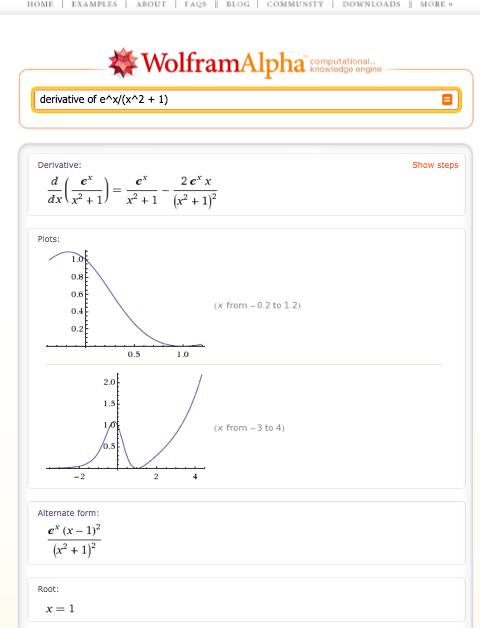 What are some other ways you could see Wolfram|Alpha widgets being used effectively in a course? I went to a session at the national joint meetings tonight on Wolfram|Alpha, sponsored by the MAA Special Interest Group on Mathematics Instruction Using the Web, with speaker Bruce Yoshiwara of Los Angeles’ Pierce College. 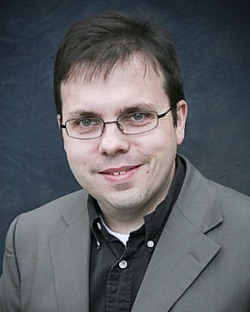 He cited the blog of the best-known expert (outside of Wolfram itself) in the country on using Wolfram|Alpha in education: Robert Talbert. Congratulations! I would have to rank Maria Andersen way above myself both in terms of her expertise with W|A and in terms of how well-known she is, but still, I’m honored by Prof. Yoshiwara’s mention. 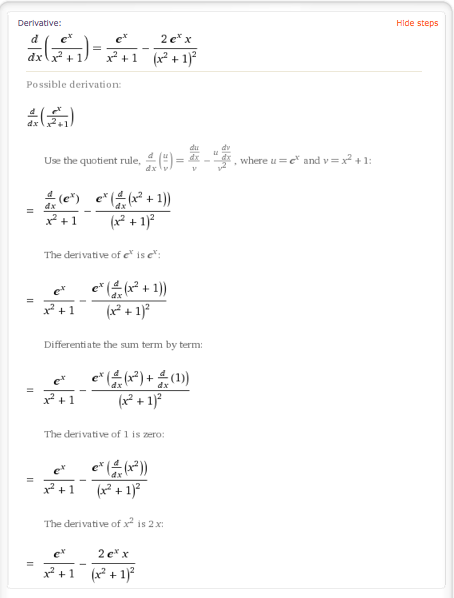 And I’ll keep trying to crank out relevant posts about Wolfram|Alpha in the future.